The rain and snow activity over the hills are likely to intensify soon. In the past 24 hours, Jammu and Kashmir received moderate snowfall over the upper reaches with light rain over the southern parts of the state. Whereas, Himachal Pradesh witnessed light rain and snow activities over isolated pockets. Places like Gulmarg, Pahalgam, Srinagar, Qazigund, Kupwara witnessed rain/snow activities. There is another fresh Western Disturbance with much intensity over Iran and adjoining Afghanistan. This weather system is likely to affect the northern parts of Himalayan region in the coming 24 hours. This system is quite strong and is extending up to 9 kms above the sea level as an upper air trough. Its induced Cyclonic circulation will be formed over Southwest Rajasthan. This system will intensify the rain and snowfall activities over most parts of Jammu and Kashmir, Himachal Pradesh with moderate heavy spells at some places. Chances of hailstorms at few places cannot be ruled out. As per the meteorological conditions, the night temperatures will see an up rise with day temperatures dropping significantly. Due to persistent thick clouding accompanied with rain and snow activities, Cold Day conditions stands a chance to pose. This means that during day, the maximums could be in the sub-zero zone. The rain/snow activity is likely to intensify in many parts of Jammu and Kashmir and Himachal Pradesh by January 21. 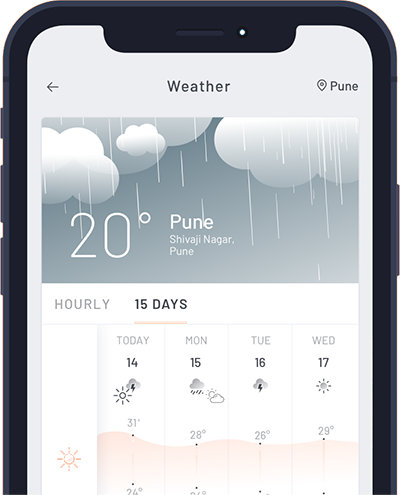 Gradually, this weather system will move towards the state of Uttarakhand and it would receive heavy rains on January 21 which will continue till January 22. All in all, the hills of North will be under the grip of rain and snow activities up till January 23. Avalanche warning has been already issued. Due to the occurrence of extensive rain and snow, many disruptions such as road blockages, air traffic, power cut etc. can be experienced. 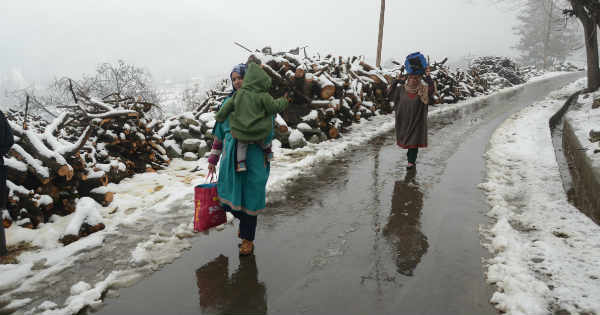 Moreover, the snowfall might disrupt normal life and affect the movement of people and transport in Srinagar city and other districts of the valley.